The Meade Natural Heritage Association (MNHA) is an incorporated, non-profit organization that is dedicated to the purpose of wildlife conservation, management, and to promote and support outdoor sporting activities. As part of this program, MNHA manages hunting activities on the refuge, with the distinction of having one of the largest federal public-use hunting programs in the United States in regard to season length and number of hunters. MNHA's membership is active throughout the year in support of these activities. Through a wide variety of activities and services, MNHA offers benefits to its members, refuge hunters, the refuge, and our wildlife. Most importantly, MNHA offers the opportunity to GET INVOLVED. Habitat restoration, refuge clean ups and other projects allow sportsmen to give back for the improvement of the refuge and the hunting program. As a volunteer organization, MNHA depends on the contributions of its members. MNHA member range days which provides the opportunity to maintain firearm proficiency throughout the year. Voting status; become a voice in determining the development of your hunting association. Utilize MNHA's bow range for target practice to maintain proficiency throughout the year. Post items for sale within the hunting control station. Enjoy the Annual MNHA Membership Banquet/Meeting in October with food, giveaways, meeting logistics and nominations. 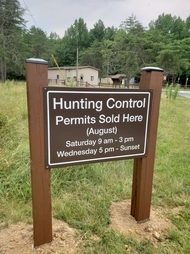 To purchase a membership, stop by the Hunting Control Station (HCS) located on Bald Eagle Drive, approximately 1/4 mile from Rt. 198 August through January and pick up a MNHA brochure and fill it out. 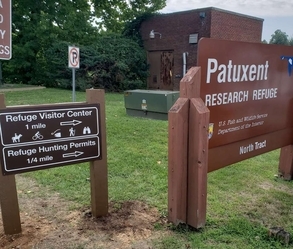 Become a part of the organization dedicated to hunting sportsmen and the Patuxent Research Refuge wildlife we all enjoy. Membership is just $10 per year! Please view the MNHA Membership Form and the MNHA Brochure below.